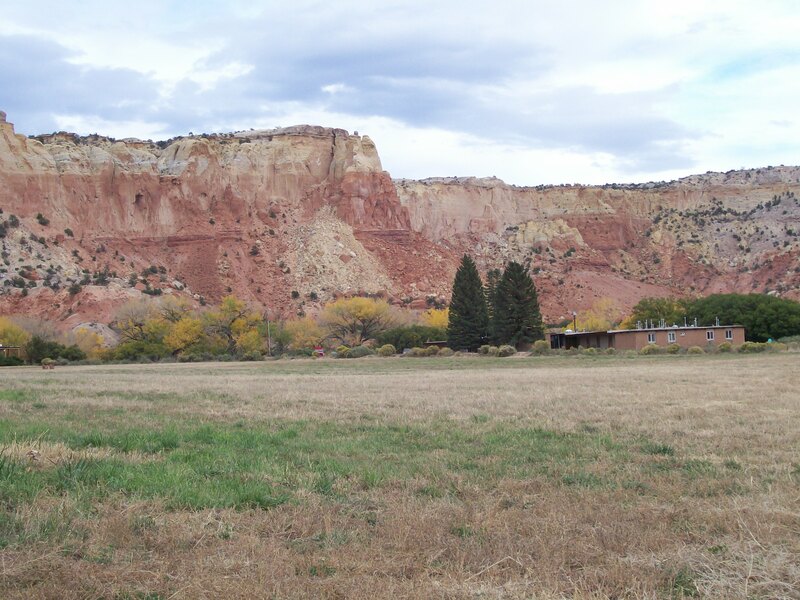 Ghost Ranch is a feast for the eyes, a wonderful place for a photography or painting class. I was there to write. 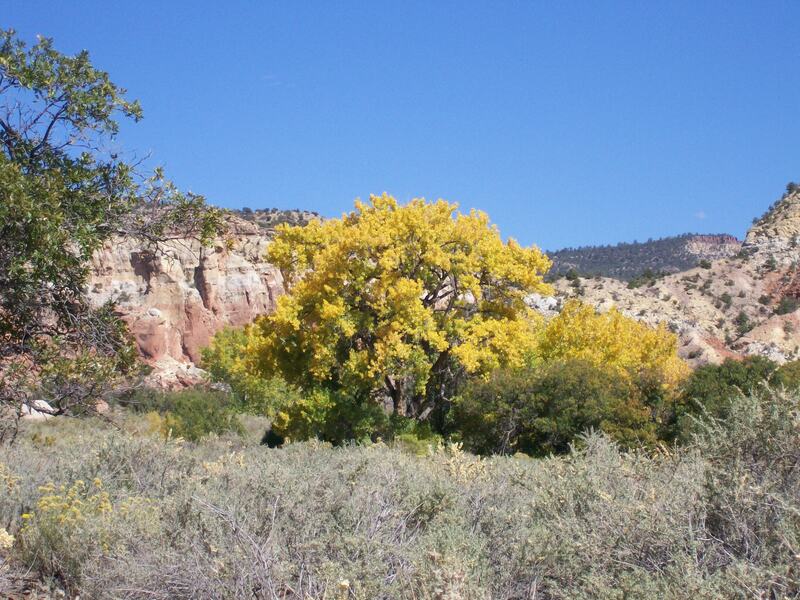 All week, I tried to find words to describe the turning cottonwoods, yellow, gold, against the evergreens of pine and juniper. I failed. But I came away with many words on other subjects: new material to work with. More on the people, the place and the class in a future post.